FIX Protocol Limited, a provider of messaging standards, has unveiled new guidelines for post-trade data reporting with the aim of bringing a standardised consolidated tape for equities one step closer. FIX Protocol Limited (FPL), a provider of messaging standards, has unveiled new guidelines for post-trade data reporting with the aim of bringing a standardised consolidated tape for equities one step closer. The industry-driven recommendations harmonise the means by which equity trades are reported and aim to simplify the aggregation of data. The guidelines cover where a trade was issued and the currency used, the venue of execution, the time a trade took place and time of reporting by the execution venue to the nearest millisecond. 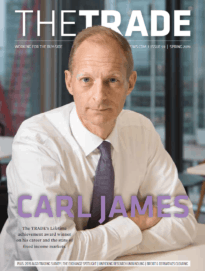 The fragmentation of post-trade data was identified as a potential problem after the introduction of competing trading venues by MiFID in 2007 and a standardised consolidated tape is yet to materialise. Without an industry-wide source of post-trade data, buy-side traders are unable to accurately benchmark executions or determine the value of funds. The second version of MiFID, which is currently making its way through the European legislative process, will either allow data providers to compete on consolidated tape solutions, run a call for tender process or result in the selection of a single tape provider run as a utility. 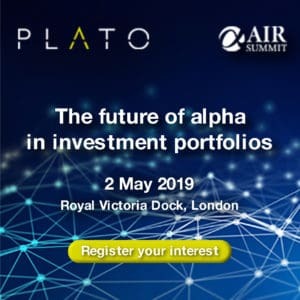 All approaches will require the use of Approved Publication Arrangements, new entities introduced by MiFID II that will clean post-trade data to facilitate effective consolidation. While the European Parliament has favoured a competitive approach, a mandated approach could be imposed if an adequate solution is not agreed upon within two years of MiFID II coming into force – currently scheduled for 2015. Regardless of the final decision taken, FPL is hopeful its guidelines will gain the support of the European Securities and Markets Authority, the watchdog responsible for devising the technical standards which will accompany MiFID II. FPL’s EMEA trade data standardisation working group is one of many initiatives established since MiFID’s introduction towards the creation of a consolidated tape. The work undertaken by FPL is complementary to a Market Model Typology project by the Federation of European Securities Exchanges, which seeks to harmonise the flags used by bourses to tag trades and the identifiers used for different types of OTC transactions. The FPL working group is also preparing to start work on a pre-trade consolidated tape for equities and the aggregation of trading data for OTC derivatives transactions.